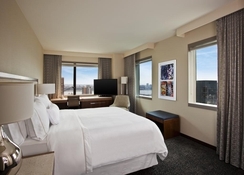 New York is a paradise for travellers and The Westin New York at Times Square is perhaps the best place to stay and enjoy the city. Located at the heart of the city, this plush hotel 45-storey hotel is just a few minutes’ walk from Broadway, the iconic theatre district of the city. The hotel features indoor parking garage, a state-of-the-art gym and a 200,000-sq. ft. area of retail, entertainment and dining complex. There is a total of 873 luxury rooms and suites done in contemporary style with a soothing colour scheme. The bed and bath of the hotel are specially designed and have therapeutic qualities. The in-house restaurant of the hotel, Foundry Kitchen & Bar, can rustle up delectable dishes. The Westin also comes with a 34,000-sq. 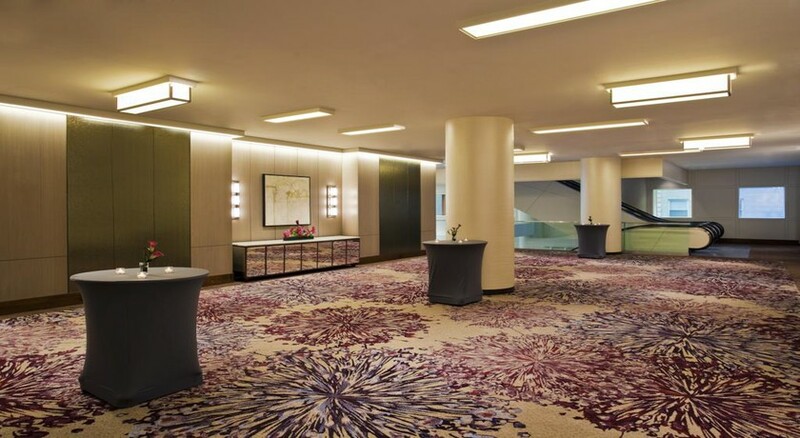 ft. of designated space for meetings and social gatherings. 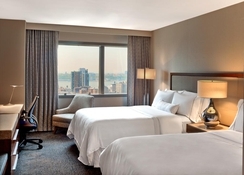 The hotel enjoys a fabulous location at the heart of Manhattan. It is situated on the 43rd street of 8th Avenue. It is a just a couple of minutes away from Broadway, the famous theatre district of New York. The hotel is surrounded by world famous restaurants, shops and theatre. Manhattan can easily be reached from JFK airport. The distance is about 29 km, and it takes about 32 minutes to reach the hotel. All the 873 rooms of the hotel have stunning views and are done up in contemporary style. The in-room facilities include plush, signature beds, therapeutic baths, flat screen TVs, coffee/tea makers, climate control rooms, wireless internet, in-room refrigerated centres and so on. 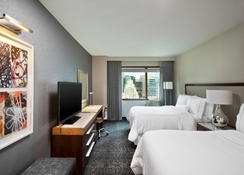 The various categories of the rooms include: traditional guest rooms, deluxe guest rooms, grand deluxe guest rooms, junior suites, one bedroom suites, renewal suites and empire suits. Foundry Kitchen & Bar is the newly renovated restaurant of the hotel that serves breakfast buffet, as well as lunch and dinner. The bar is located in the lobby of the hotel. It is the perfect place to get some drinks after a hectic day of shopping and sightseeing. Guests can also enjoy 24-hour in-room dining. There are varied entertainment options both within the hotel and outside it. 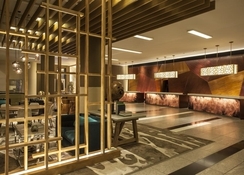 The hotel has a 24-hour fitness centre, a business and entertainment centre, theatre ticket desk and concierge services. The hotel is in the walking distance of some of the best restaurants, bars and theatres of the New York City. The city is also known for some of the world-famous hockey, baseball and football teams. If you are lucky you might catch a game or two. New York also has a number of museums and art galleries, which you might enjoy during your stay.